Discussion in 'iPhone and iPad Games' started by jibjelly, Jun 18, 2015. 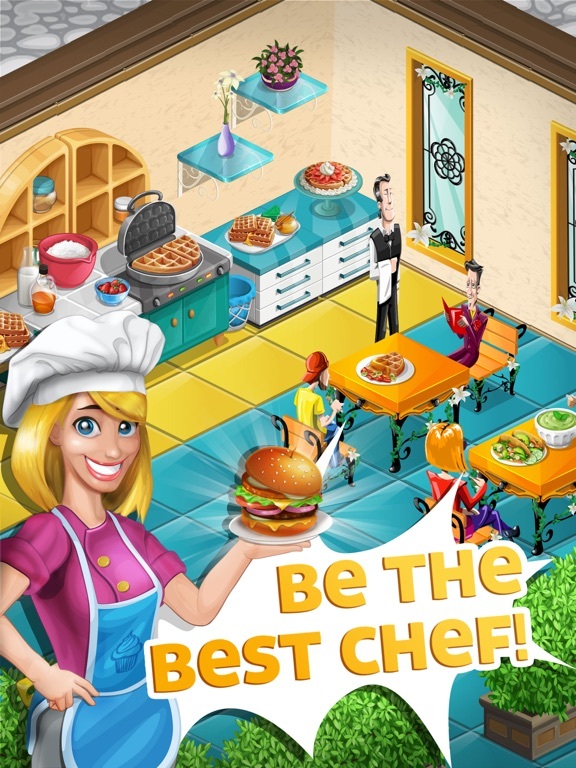 #Celebrating over 10 million downloads!# There’s a new chef in town! And it’s you! But that will be just one of your many roles! A budding but faltering restaurant business was left in your care, and it will take all you’ve got to really get it off the ground and make it work. Become a cook, a chef, a manager, an organizer, a provider! Yes, it’s up to you to start from scratch, run your own restaurant and raise it from rags to riches! It will be quite an adventure! GROW YOUR OWN INGREDIENTS! They say there’s no food like homemade food, and you certainly live by that motto! Keep your foodstuffs fresh by growing them yourself! 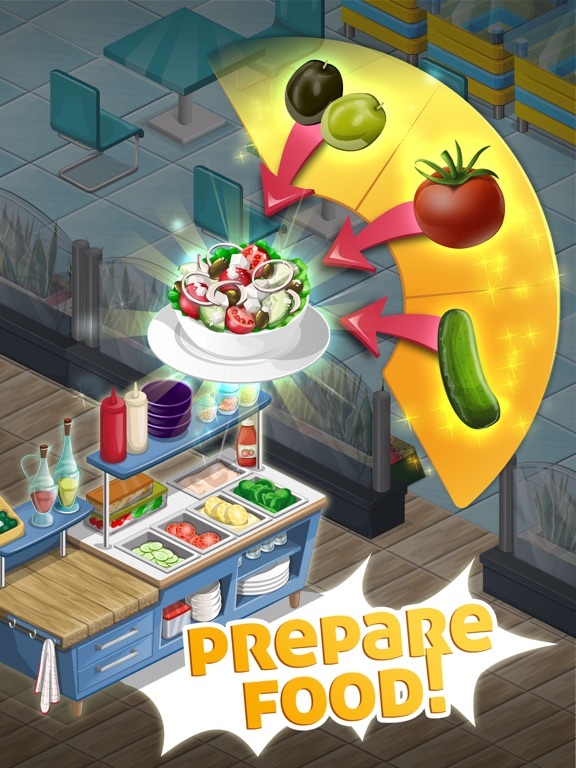 Buy a plot of land outside your restaurant, plant a crop, harvest it and serve the produce while it’s the tastiest and most delicious! 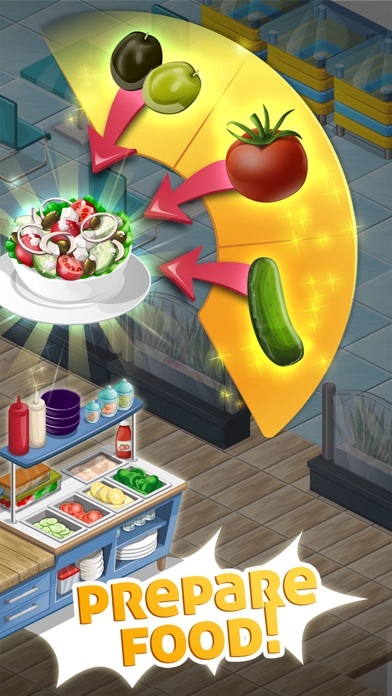 UNLOCK HUNDREDS OF RECIPES! From salads, soups, sushi and sandwiches to a plethora of succulent dishes from the grill, vide variety of pizza and plenty more! Did we mention cakes, crepes, donuts, pies and ice cream as well? And don’t even get us started on the different types of coffee! PREPARE A TON OF MEALS! You’ve got the recipe and the ingredients and your oven or a different appliance is ready to rock’n’roll? Well, what are you waiting for? 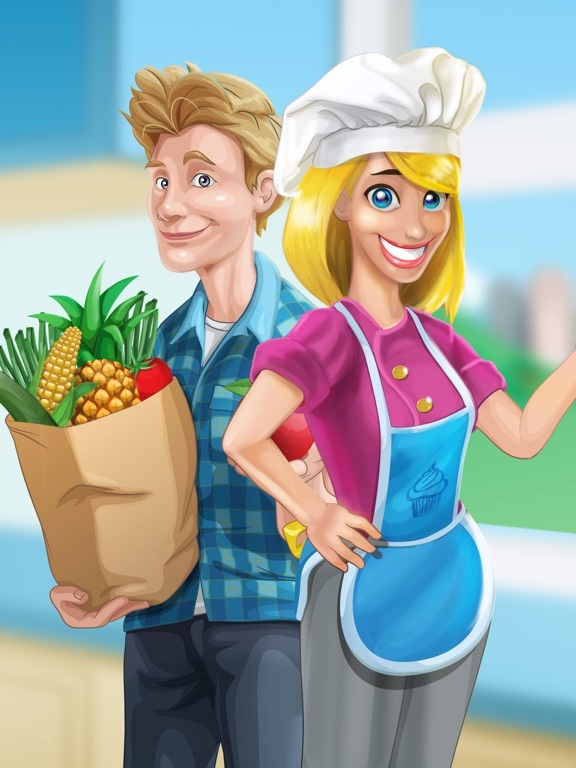 It’s time to cook, make, prepare and serve your delectable dishes to your eager customers! Expand your menu and keep them coming back for more! OPEN UP CRAFT STORES! 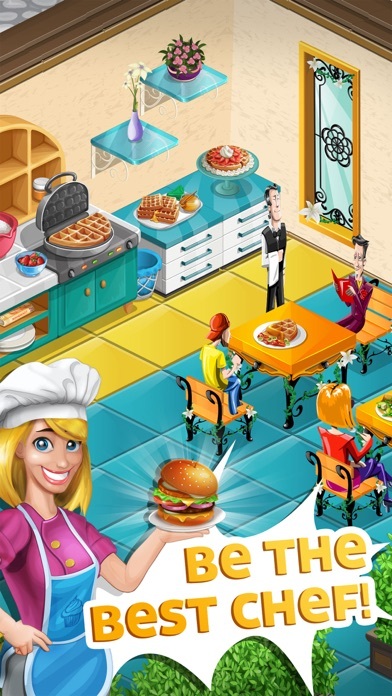 This is not your usual restaurant sim where everything is just waiting for you! You’re involved in every part of manufacturing and production process! 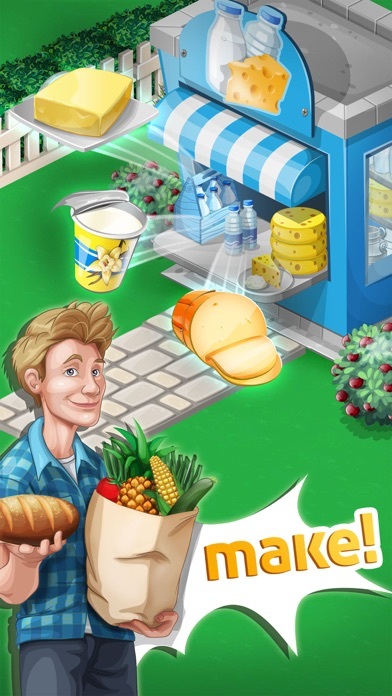 Open up dairy stands, bakeries, candy or pasta stores and many more! Have everything ready at the drop of a dime! FORM, FUNCTION AND FLAVOR! 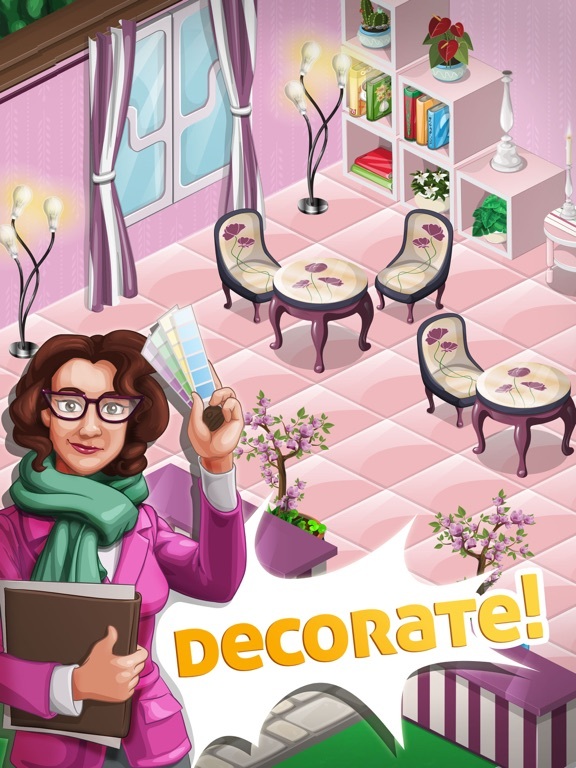 Outfit and decorate everything as you see fit! From tiles and wallpapers, doors and counters, appliances, stoves, ovens or salad bars to fun and versatile decorations and accessories, personalize the inside and outside of your restaurant down to the tiniest detail! RECRUIT THE RIGHT PEOPLE! The better you get at running your restaurant, and the bigger your business becomes, the more people you’ll have to employ. 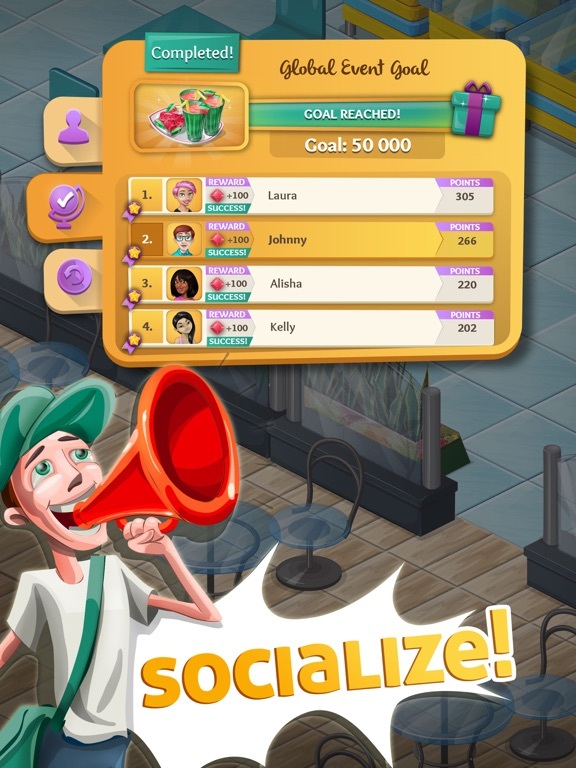 Get more chefs, waiters and managers to help you out! 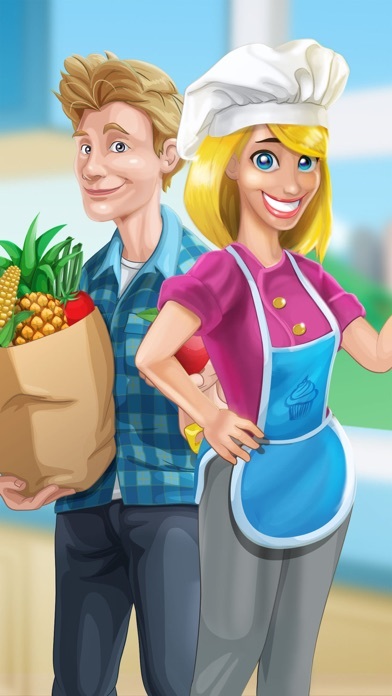 Your new employees will also bestow you with awesome benefits and added bonuses! ENGAGE IN DELIGHTFUL QUESTS! Ah, there’s always something to do in and around your restaurant! A friendly and charming crew of characters will keep you busy with their tasks and requests, but they’ll also guide you along your way, and give you direction through the challenges they have for you! CONNECT, SHARE AND SOCIALISE! 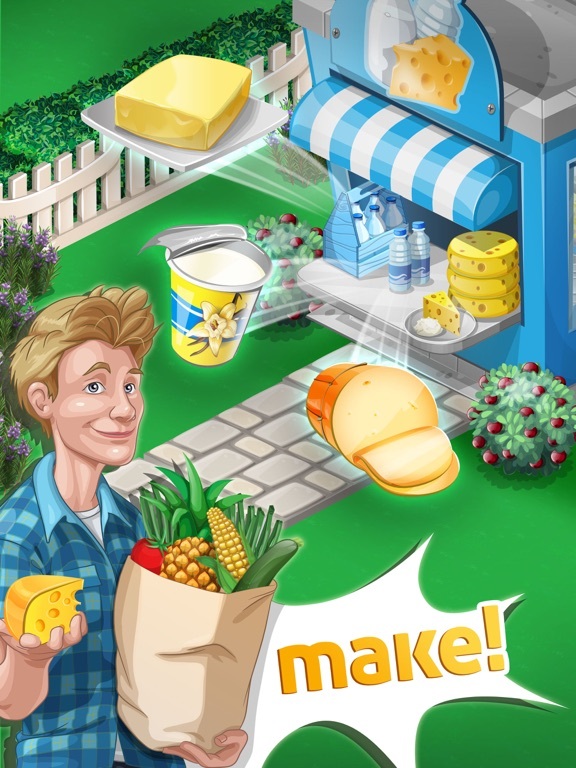 Let your friends know what fun you have in Chef Town! Connect with them via Facebook, invite them in, visit their restaurants and explore the community filled with companions both old and new! 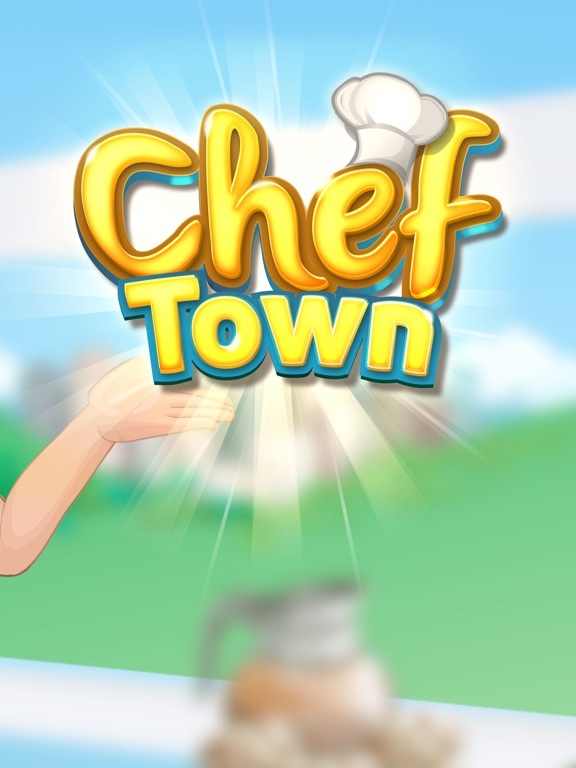 So, dive in Chef Town! 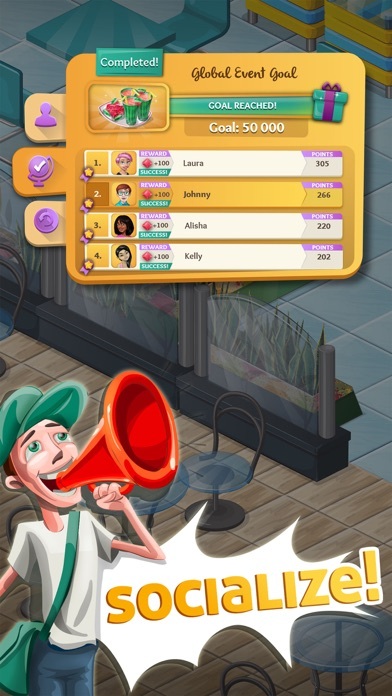 Experience the joys and challenges of running your own restaurant – and plenty more! There’s a whole town of adventure waiting for you! And yes – this town IS big enough for all of you! 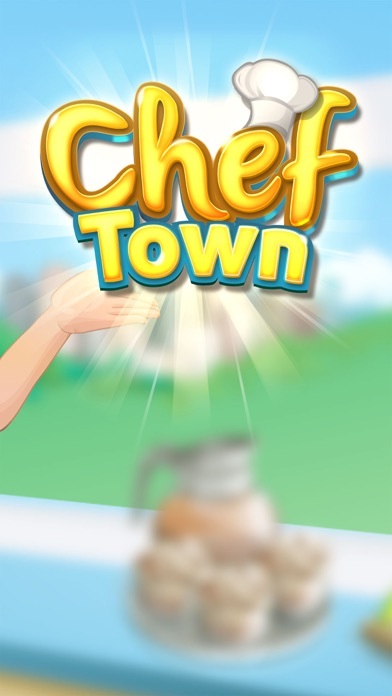 Welcome to Chef Town! Notice: Some displayed items may require in-app purchases. You can disable in-app purchases in device settings.